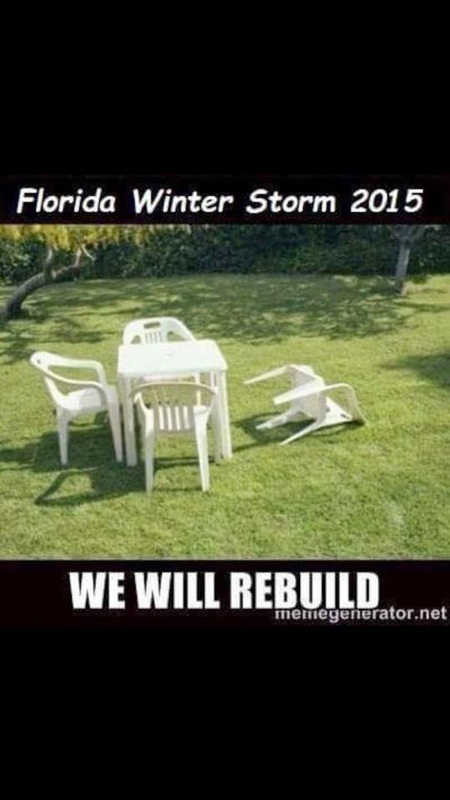 The Plastic Chair. It is everywhere. Gracing the lawns of America. Trainspotters in Sandy Hook, Maryland keep their soot covered chairs close to the tracks. Every Metro stop in Potomac, Maryland has a plastic courtesy chair probably placed by a good Samaritan. New, old, clean, dirty, broken, whole, they are everywhere. Tracing the history of this ubiquitous piece of furniture in the minds of some goes back to the mid 20th century. Going back further two distinct ideas were formed that later coalesced. The first was the formed chair. 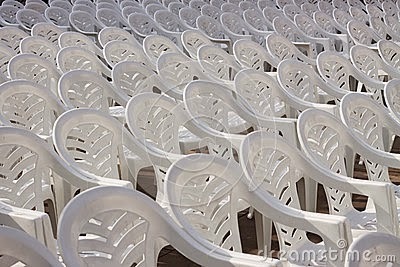 The other idea that ultimately lead to the plastic chair is the chair that can easily be mass produced. One of the first prominent attempts at this was the chair made by Michael Thonet. His bentwood chair relied on steam bending components over a form to create the lines and structure of the chair. Every part of this chair was shaped over a form to create the shape that has become Iconic. 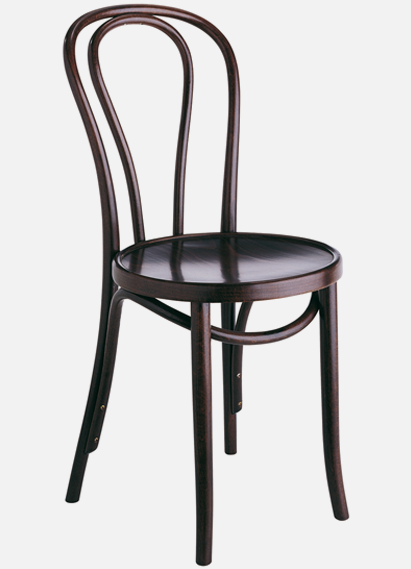 Below is an example of Thonet's Design. On to the 20th Century, Charles Eames worked with laminations of Rosewood and Walnut to create what is now known as the Eames chair, taking a page from the earlier work of Belter. Also, Eames and other designers were working with plastics to create a chair that could be comfortable and mass produced. 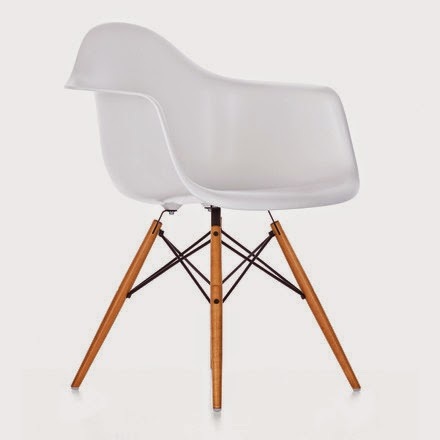 An example of Eames plastic chair is seen below. 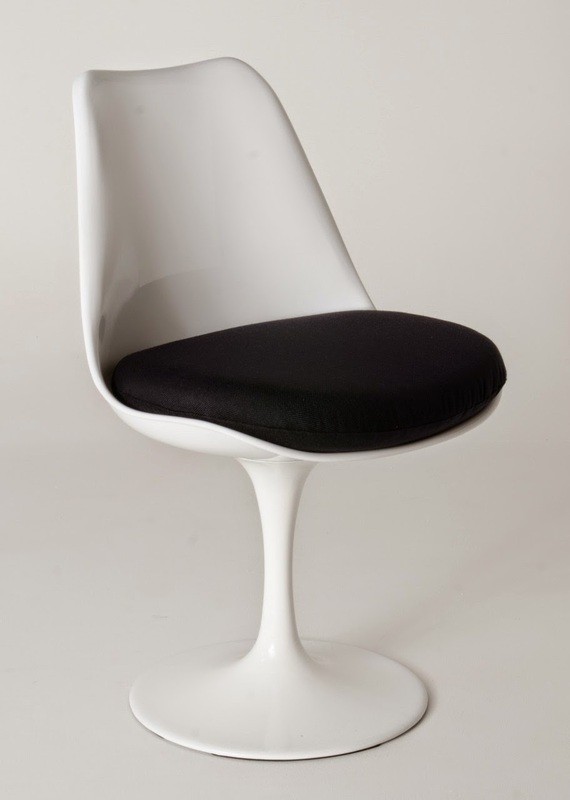 This Example, by Eero Saarinen, shows a plastic chair throughout. This was probably reinforced with metal in the wine stem base. 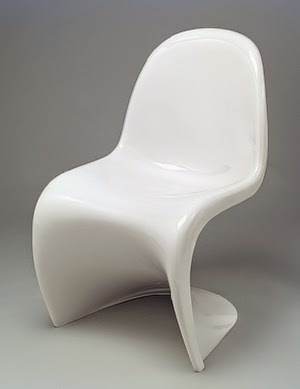 The Danish designer, Verner Panton created this chair using only plastic and the process of injection molded chair. In July of 2004, Mariana Gosnell wrote a fascinating article for the Smithsonian Magazine on the plastic chair entitled Everybody Take A Seat. In it she traces the work of Eames, Saarinen, and Panton as they worked towards the idea of the plastic chair that we have today. The chair that came to my shop had its original Forest Green color and shape that was oddly reminiscent of the helmet of Darth Vader. It was quite dirty from being outside, and needed a good cleaning. Here is a photo of the chair as it came to my shop. The chair was very loose and needed to be tightened. Because of its shape, several different clamps needed to be used. After the clamps were removed, The chair was cleaned with a little water, and was ready for delivery. Below are a few photos of the restored chair in all of its glory. 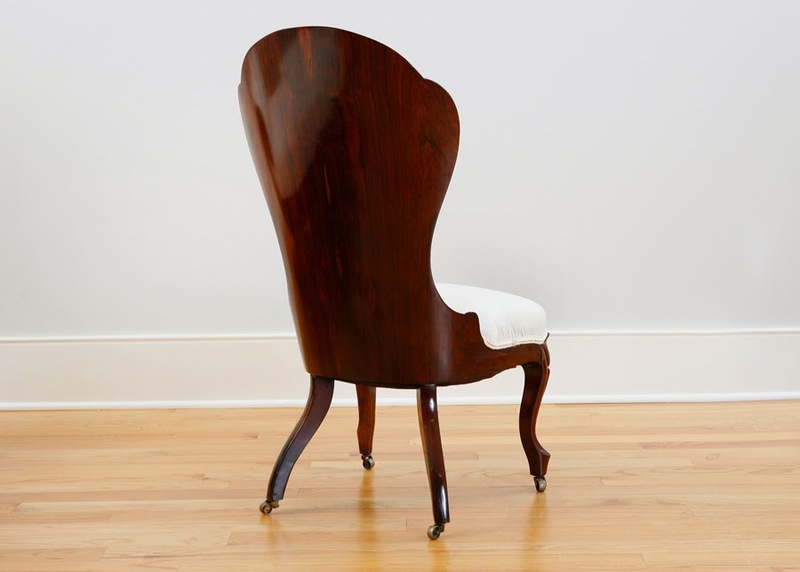 I hope you have enjoyed this post about the plastic chair and all of its various influences and the next time you sit in yours, think upon the many hands and minds that worked towards that fine piece of furniture. Happy April Fools Day from all of us at John Mark Power Antiques Restoration!